Chapter Two: What is Worship prayer and prayer of Praise? Worship prayer and prayer of praise are so intricately related to prayer that one cannot be understood without the others. We’ve noted already that prayer is the only means we have of communicating with our Creator. Worship as a prayer form. What is Prayer of Praise? Worship and Praise as Prayer. Lord’s prayer as a worship and praise. Worship and praise in psalms. Christian worship prayer happens every time we express reverence or adoration toward God. 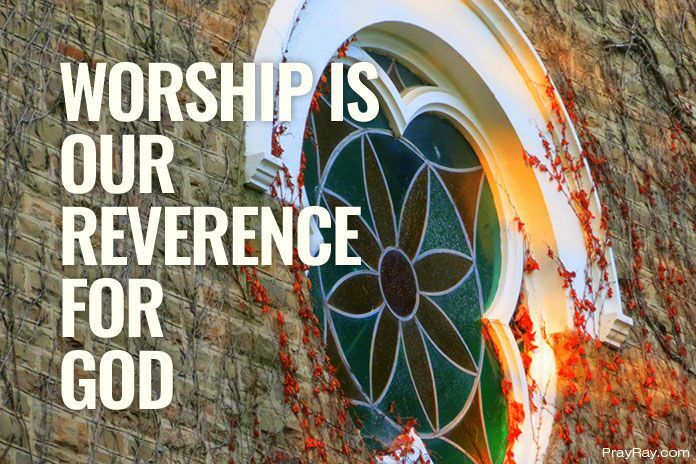 Worship is our reverence for God. When we see God for who he really is, our natural response is to fall on our face. To fall knowing that we cannot stand in the presence of someone who is so holy, pure, and powerful. This response we can find in the pages of scripture. For example, when John receives the revelation that he records on the island of Patmos (and which becomes the last book of our Bibles), Jesus appears to him as a shining figure. Keep in mind that this is the same Jesus that John spent three years following and learning from. And yet, when Jesus appears to him in glory, John “fell at His feet like a dead man” (Revelation 1:17). John worshiped. With this in mind, it should be easy for us to understand that Christian worship, first of all, includes a sense of humility on our part. We only worship things that are greater than ourselves. And so, in truly Christian worship, we must always be aware of our frailty, weakness, and fallibility. In many parts of modern, Western society, we’ve believed the mistaken idea that worship is something that we primarily do on Sunday mornings. For too many people, Christian worship is little more than singing a few songs before we listen to a preacher. But worship prayer is much, much bigger than this. For both the Israelites and early Christians, worship wasn’t something a person occasionally did. It was a complete way of life. Worship shaped how they approached everything. And it didn’t just happen in the walls of a synagogue or church. Worship was everywhere. Consider the fact that, in the early chapters of Deuteronomy, God commanded the newly freed Israelites to talk about God with their families all of the time. He told them to write scripture on their doorposts and wear it on their foreheads and hands (see Deuteronomy 6). If followed, these commandments would have made certain that the Israelites would have thought about God no matter where they went or what they were doing. But it goes beyond merely seeing God’s words everywhere. The Old Testament law ordered the whole of a good Israelite’s life, from what he could eat to how he built his home. And every reminder was a call to obedience and worship. But how did people respond to this daily call of worship? They didn’t make sacrifices every day. They didn’t go to the temple daily. In fact, ancient Israelites were fortunate if they could go to the temple a couple of times a year. By far the most common form of worship in ancient Israel was prayer. As we read through the Old and New Testament accounts, we find that they have many references to God’s people praying in worship. One of the primary reasons for this is that you can pray anywhere. We don’t have to wait for the right time or the right place in order to give God worship through prayer. But before we examine what worship prayer looks like, let’s examine one other concept that closely related to both worship and prayer: praise. Prayer of Praise has been defined as, “Honor, commendation, and worship.” However, there is a difference between worship and praise. As we’ve already said, the Greek and Hebrew words translated worship literally mean “bow down.” It is, in its nature, an act of humility. But what about praise? The Hebrew word translated ‘praise’ in our Old Testaments is a word that can also mean ‘boast.’ It’s a word that necessitates speaking. We cannot praise God in silence. In particular, praising God means that we are glorifying and honoring him with our words for who he is and what he’s done. 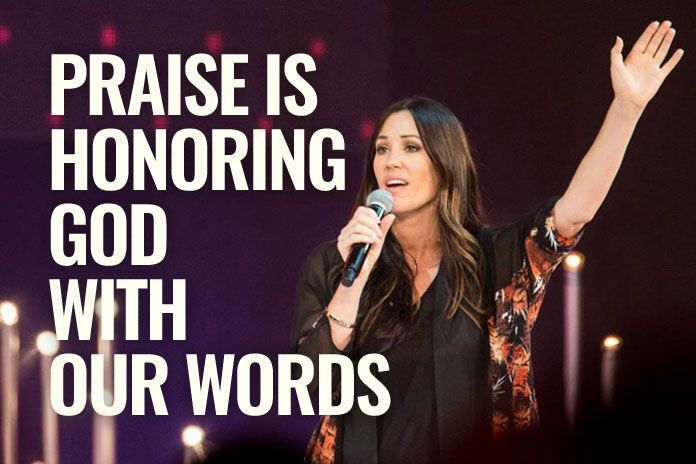 It should be obvious that praise and worship are very similar to one another. But they aren’t quite the same. Worship is a broad category that includes every act which honors God as God. Praise, on the other hand, is verbal worship. Prayer of Praise. And though we might think of praise as something that usually happens when we tell others about what God has done, praise can also happen by telling God himself how he has been faithful and good. In other words, praise can take the form of prayer. With these definitions now firmly in place, we can begin reflecting on how we might live a life of prayer characterized by worship and praise. As I’ve already hinted, worship and praise are usually directed in two directions: who God is and what God has done. Some of the very best examples of praise that are centered solely on who God is in the Psalms. Take a moment to read through Psalm 86. Note some of the statements that David makes here: “For You, Lord, are good, and ready to forgive, And abundant in loving kindness to all who call upon You” (Psalm 86:5); “For You are great and do wondrous deeds; You alone are God” (Psalm 86:10); “But You, O Lord, are a God merciful and gracious, Slow to anger and abundant in lovingkindness and truth” (Psalm 86:15). This psalm is a prayer of praise that honors God for who he is. In the same way that Psalm 86 (among many others) honors God for who he is, our prayer life should be characterized by praise. If we’re ever at a loss for what to pray, this is a great place to start. In fact, this is the way Jesus himself told us to begin our prayers. When the disciples asked him to teach them to pray, he gave them the Lord’s prayer which begins with the words: “Our Father who is in heaven, Hallowed be Your name” (Matthew 6:9). These are words of praise. They are an acknowledgment of who God is: our holy, heavenly Father. When Jesus gave us these words, he didn’t merely give them for us to recite. He gave them so that they would order our prayers in general. And part of what he was saying as he spoke these first few words is this: When you pray, begin with worship and praise. Before you ask God for anything or intercede on anyone’s behalf, simply recognize God for who he is. But we shouldn’t stop at recognizing who God is in a more general way. We should also give God worship and praise for what he has specifically done. Consider Psalm 78. This psalm begins with the author declaring that he will “tell to the generation to come the praises of the LORD, And His strength and His wondrous works that He has done” (Psalm 78:4). He then goes on to list how God had helped Israel escape from Egypt and enter into the Promised Land. This psalm gives God praise over specific acts that he had taken. Just as praising God for who he is can serve as a great way to begin our prayers by praising him for what he has done. If you’re ever feeling at a loss for words, wondering what you should say in your prayers, take a few moments to think about what he have done for you. Make it personal. How did he save you? How has he protected you through the years? How has he changed your heart? How have you seen him at work in the lives of those around you? All of these are specific, tangible things that we can begin praising God for. And there is no greater way to begin praying than with worship and praise. Worship and praise for who God is and what he has done. I believe that when thinking about prayer, we should consider both its corporate and individualistic aspects. When Jesus taught the disciples to pray, he used collective language: “Our Father”, “give us”, “as we forgive.” The Christian life is not meant to be lived alone. This is why God created a church. He intended for us to live in community with one another. He wanted us learning how to love, live out the scriptures, and pray together. One of the benefits of praying together is that we can worship God for what he’s doing in the community at large. When a fellow Christian tells us how God has changed his heart or protected him or healed him, we have an opportunity to offer prayers of worship and praise to our Creator, Savior, and Healer. Since the Church is one body, when one member of it has something to praise God for, the whole body should join in. Paul spells this out in his first letter when he writes, “if one member is honored, all the members rejoice with it” (1 Corinthians 12:26). This is what truly Christian worship prayer looks like. If you’re having a hard time coming up with something to praise God for, talk to other believers. Ask how God is at work in their lives. And then, give him praise. In this chapter we’ve defined worship prayer and prayer of praise. We’ve also looked at how important they are to the Christian’s prayer life. We’ve noted that Christian worship is where prayer begins. Even if we can’t think of anything else to say to God, we can always offer up a word of praise what he’s done. It’s important as we seek to understand prayer more fully. Prayer is founded on the fact that God is far greater than we are. The more that we praise him for that fact, the more we’ll believe Him. And the more we believe Him, the easier it’ll be to ask Him and rely on Him for the things we need the most. Before you read any further, spend a day or two practicing what we’ve learned here. Think about who God is and honor him for that. Then, reflect on how He works in your life and give him praise for those things. Finally, ask a few believers what God has done for them and worship him for his faithfulness in their lives. Before you do anything else, learn to fill your prayers with worship and praise.